This is one of my Halloween try outs on a more dramatic monster mouth look other than my 1st Kyary Pamyu Pamyu inspired make up. Just refer to the kyary pamyu pamyu's monster mouth but this time make it more dramatic and eerie. An advice, sketch a rough blueprint/ outline of the monster mouth with a white pencil eyeliner in advance before filling in the details of the mouth. What do you think? 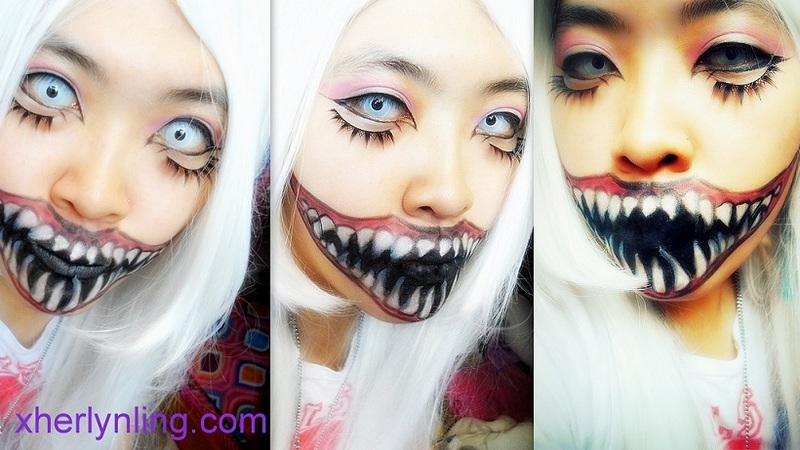 This look is really worth and fun to try on during Halloween season.